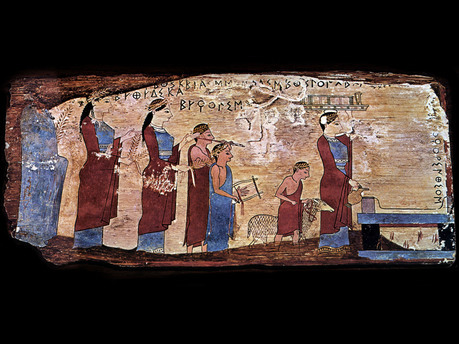 Archaic, Corinthian, c. 540 BC. 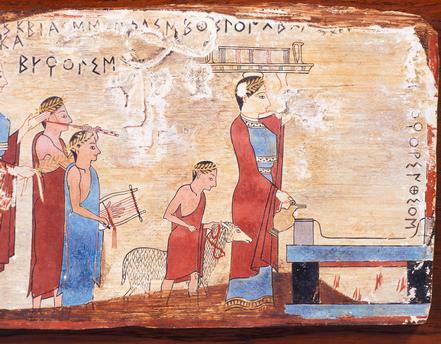 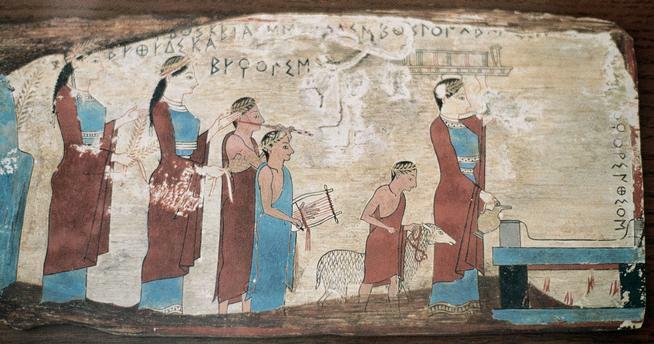 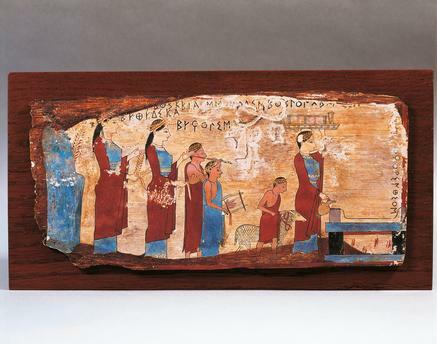 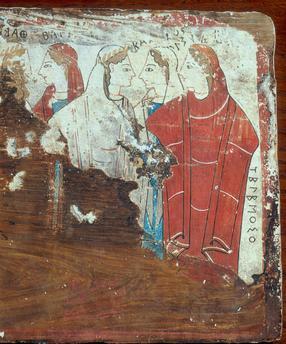 Fragment depicting a group of women. 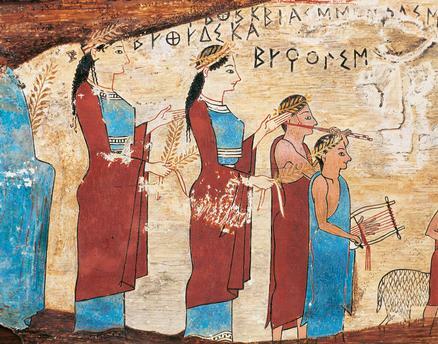 Found in the cave of Pitsa near Corinth.